The year 1840 marks a turning point in Chinese history. China, the former “central empire”, was forced into a global system dominated by Western imperial powers. Both the Qing Dynasty and the Republic of China that followed tried but failed to rescue China from the lowest point in the country’s long, renowned history by adjusting to this new historical reality. However, the entire Chinese nation deteriorated to the point that threat of national implosion was imminent. China signed 1,175 treaties with other nations after the 1840 Opium War, most of which were unequal,These treaties involved ceding of territories, war reparations, stationing of foreign troops, tariffs, and judicial rights. Imperial forces from around the world bullied and humiliated China, carving up China among themselves with no regard to the feeble Qing government’s sovereignty. The Qing government’s submission to these unfair treaties led to the unequal treatment of the Chinese people, an example of which is the Chinese Exclusion Act pass by the U.S. Congress in 1882 which discriminated against Chinese immigrants. However, China managed to remain a nominally sovereign and independent nation under the Qing government, with intermittent periods of peace between incessant wars and domestic unrest. The Republic of China, on the other hand, fared even worse. Its 37 years (1912-1949) of rule brought China neither independence nor unity, not to mention the widespread poverty and loss of dignity that continued during this period. The financial system broke down, warlords continued fighting, civil wars and foreign invasions continued, and corruption was rampant. The Republic of China not only failed to solve any of the challenges left behind by the Qing Dynasty—extreme poverty, foreign invasion and threats, division of the nation and dominance of the military by warlords—it aggravated them. In the first years of the Republic of China, China was presented with three paths for its future: First, to follow Yuan Shih-kai’s autocratic monarchy; second, to pursue Liang Qichao’s constitutional monarchy; and third, to take on Sun Yat-sun’s revolutionary path. However, none of the three leaders managed to realize their visions, and China lingered on in a dead end. China’s inferior status improved little even after becoming a victor in World Wars I & II. When World War II ended, the three allied powers—the United States, the Soviet Union and the United Kingdom—continued to infringe on China’s sovereignty to the extent that all three countries had a military presence in China and enjoyed extraterritoriality. It was the People’s Republic of China, established in 1949 by the Chinese Communist Party, that finally rescued China from its impoverished and feeble past, reestablishing China’s long-lost independence for the first time since 1840. The People’s Republic of China has existed for over sixty years. From a historical perspective, today’s China has already transcended both the Han and Tang Dynasties. A horizontal comparison between China and the other two Asian powers—Japan and India—further illustrates the advances China has made. Japan completed industrialization before World War II and became one of the five major powers in the world. It was able to retain its advantages in both technology and human resource despite its devastating defeat. Moreover, the country enjoyed huge peace dividends under American military protection and preferential terms of trade from the United States due to the Cold War. During the 60 years following the war, Japan was able to develop free of wars and civil unrests. However, Japan now finds itself in a severe debt crisis and is experiencing political chaos. It has undergone several cabinet reshuffles and virtually lost the ability to govern. The 2011 nuclear meltdown also found the then prime minister Naoto Kan unable to deal with the crisis, leaving the refugees unattended months after the disaster. Furthermore, the current prime minister Yoshihiko Noda recently had the political insensibility to challenge China’s sovereignty by nationalizing the Diaoyu Islands. India, on the other hand, became an independent country in 1947 and inherited British democracy, the rule of law, a constitutional system and the English language. The country lagged behind China even after the latter experienced ten mournful years during the Cultural Revolution, a gap that inceased exponentially after China’s reform and opening up began in 1978. Today, compared with China, India is more populated, less urbanized and less regulated in terms of public hygiene. India also has higher child mortality rates and widespread hunger. Moreover, both Japan and India lag behind China in terms of gender equality. As for the United States, it is now struggling with the worst financial crisis ever experienced since the 1930s, with the amount of its foreign debt weighing more than 160 trillion dollars. Many medium-sized and small cities went bankrupt during the crisis, and even some state governments almost went broke. Since 1960, the US has raised its debt ceiling 78 times, averaging almost twice a year. The so-called debt ceiling has long been defunct. During the twenty years since the Cold War, the United States has committed a series of strategic mistakes, squandering its soft and hard power. Domestically, the U.S. has suffered from the Internet bubble, the real estate bubble and the subprime crisis. Internationally, it has made one strategic mistake after another by waging wars overseas. Such a state poses a stark contrast with China, which has been making advances in leaps and bounds over the same period. 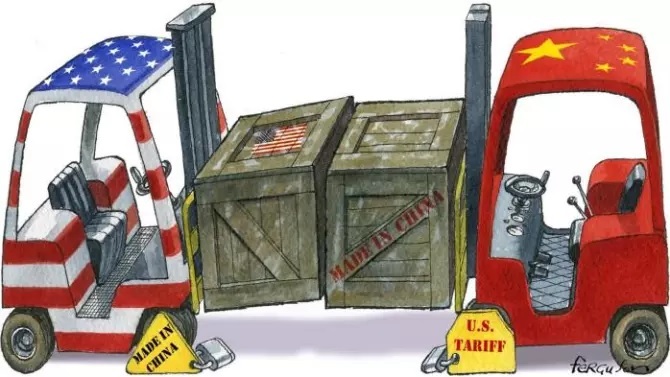 The U.S. has lost its former crown to China as the world’s largest manufacturer (the first time this has happened since it surpassed the U.K. a hundred years ago), largest automobile market, and the country with the most patent applications. China has also overtaken the U.S. in terms of contribution to global economy, accounting for 50 percent of the economic growth in 2009. One can interpret the American political system from many angles, although some comments by former U.S. president Jimmy Carter are quite thought-provoking. At the International Economic and Financial Conference held in Sanya in 2012, Carter expressed his malcontent with the anti-China rhetoric while acknowledging that they are simply part of the American political life. While Carter’s comments concern only certain phenomena, others in the U.S. have taken a critical stance on the American democracy itself. Conservative commentator David Brooks made the following comments in the New York Times: people today have unlimited faith in the notion of democracy without realizing that the founding fathers of this country talked very little about democracy itself and built the nation on republican principles. The main difference between democracy and republicanism is that democracy places unlimited faith in the character and judgement of the people whereas the believers in a republic are highly suspicious of the character and judgment of the people and erect institutions and barriers to contain the potential damage the fickle human nature can cause. 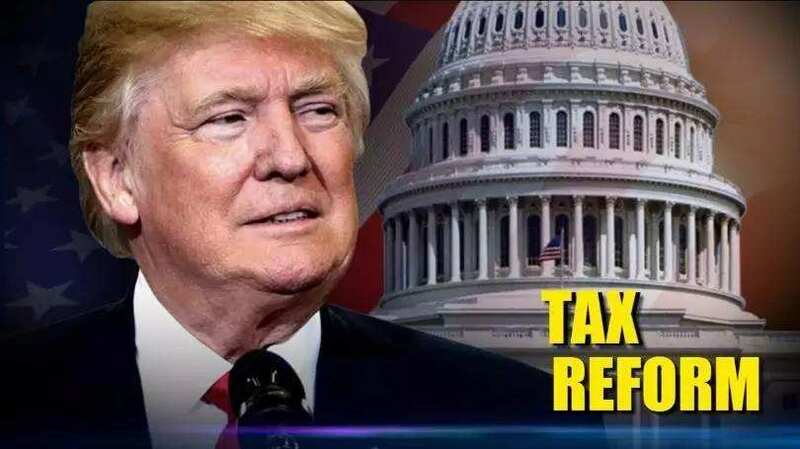 In contrast to the United States’ focus on liberal corporatism, Europe follows a welfare-oriented model characterized by a gigantic bureaucracy, an increasingly burdensome income redistribution system (through taxation), and government control over enterprises. However, such a model has also become unsustainable in face of the global economic crisis. An example is the debt-stricken Greece which has seen its unemployment skyrocket, living standards deteriorate, and suicide rate rise to an all-time high. In the face of the unprecedented challenges posed by the economic crisis, the West has failed to come up with a clear and focused blueprint for reforms, nor has it seen forceful leaders like Margaret Thatcher or Ronald Reagan in the 1980s arise to push through far-reaching reforms. The societies remain in a chaotic and lost state, undermining the Western elites’ confidence in their political and economic system. The West has repeatedly questioned the sustainability of the China model throughout its course of development. Whether China’s rise to power can be sustained under its current model can only be verified by history. Meanwhile, the current crisis has already demonstrated that the Western model cannot be sustained and is in dire need for comprehensive and far-reaching reform. A look at history leads us to the conclusion that the current system is not only the most successful one for China in the past century, it is also the best-performing system the world has seen in the past 60 years. How should one interpret the Chinese system? Since the founding of the People’s Republic, China has developed, through a series of political reforms, a model with Chinese characteristics in terms of power transfer and checks-and-balances. These characteristics stand in stark contrast to the troubled West and turbulent Arab world, which is currently undergoing revolutions. The West regularly rotates both its leaders and political parties, whereas China only changes its leaders without changing the party. The Arab societies change neither. So far, the Chinese system has been the best performing for it is a flexible system with a high degree of continuity, whereas both the Western and the Arab systems sacrifice one at the expense of the other. The need for political reform in both the West and the Arab world is pressing, whereas China is undertaking the reforms more as a precautionary measure. China’s current system is the result of a series of lasting, internally-generated evolutions based on Chinese cultural and political traditions. Take power transfer as an example, the transfer of leadership in China resembles the ancient practice of emperors abdicating and giving the crown to a designated successor, while breaking free from the limits of lifelong tenures. China inherited its political tradition by “recognizing the Party’s rule, selecting the leaders from all over the country, and cultivating them over a long period of time”, institutionally innovated by ‘setting limit on the leaders’ age and tenure’, and borrowed from the West in regularly replacing leaders. Such system allows China to draft out long-term strategic plans under the leadership of one party and select the most talented politicians at a low cost through nationwide selection and cultivation, while regular transfer of leadership introduces new blood and prevents the rise of a strongman. Apparently, just as Western elites are starting to lose faith, China is welcoming its own age of confidence. The original Chinese article was written by Luzheng Song. Translated by Xiaoyuan Li. Xiaoyuan is a volunteer for the China Program at The Carter Center.